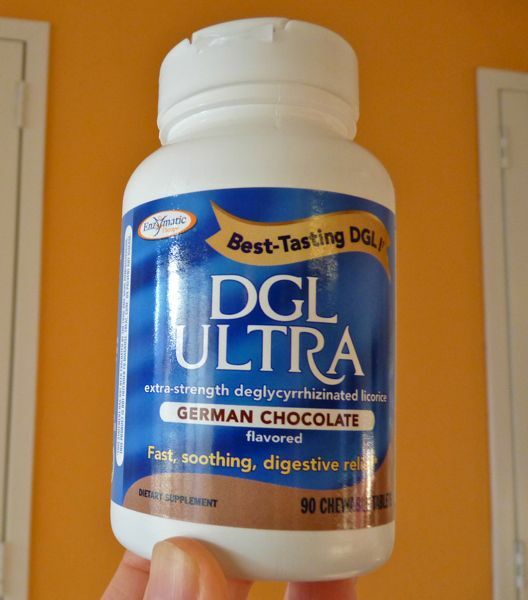 It's nice to know that there is a "German Chocolate" chewable supplement (with licorice) that's available to provide "soothing, digestive relief" if we need it. And, it was appropriate that I tried this product this week, as today was Day #4 of Chocolate and Licorice Theme Week. 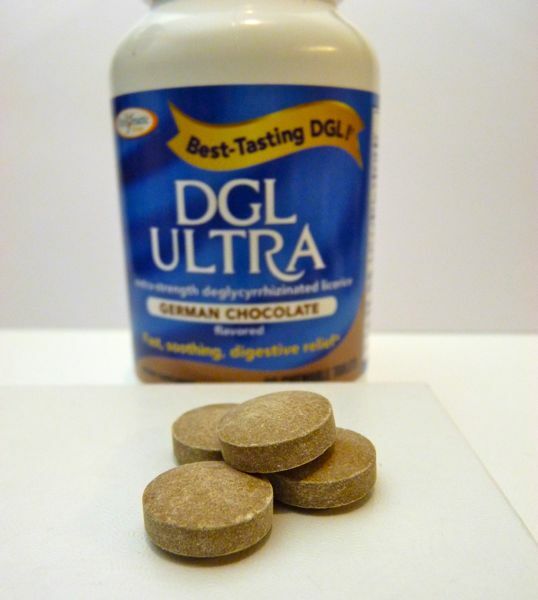 Fortunately, this product from Enzymatic Therapy contained licorice without the sweet component that causes blood pressure issues -- that is, these chewable tablets contained deglycyrrhizinated licorice (with barely a hint of licorice flavor, I might add). 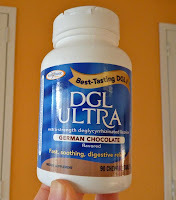 And, the German Chocolate flavor (with a hint of coconut and cocoa) was very pleasant. A tasty way to help subdue heartburn. Labels: chocolate and licorice, Enzymatic Therapy, Inc.